Having more fiber in your diet helps lower blood cholesterol and prevents constipation, and ma help prevent cancer. 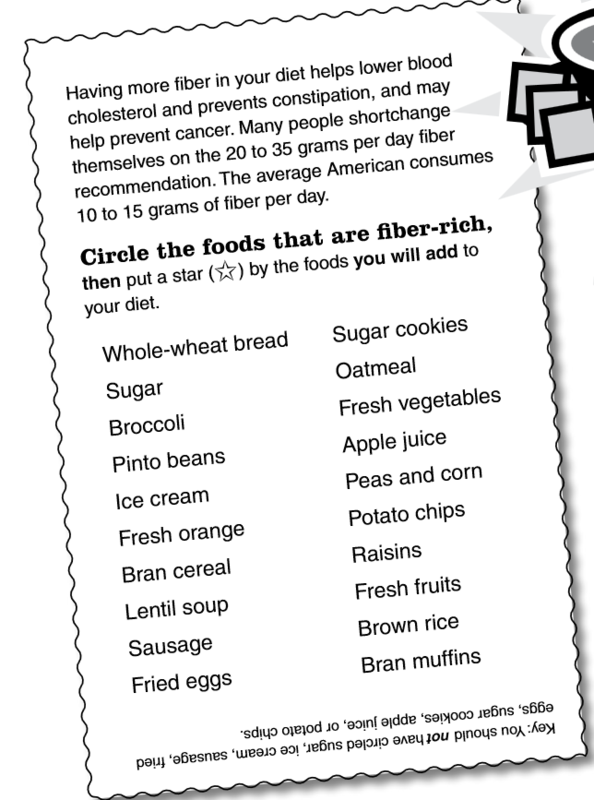 Many people shortchange themselves on the 20 to 35 grams per day fiber recommendation. The average American consumes 10 to 15 grams of fiber per day. Try this easy, fiber-rich recipe. Wash the lentils or peas. Put all ingredients in a kettle. Heat to boiling, cover and simmer for 30 minutes or until lentils or peas are tender. Materials were partially funded by the USDA’s Supplemental Nutrition Assistance Program. Source: Content adapted from “Harvest Health at Home: Eating for the Second 50 Years,” North Dakota State University Extension Service; authored by Karen Heller, Susan J. Crockett and Joyce Merkel.